Let’s talk first about the risk of healthy fats making you fat. Like any food, if you eat too much, it’s not good for you. But the wonderful thing about fat, is that it has a high satiety value which means it helps you feel fuller for longer. And fat contributes to the texture, flavor, and aroma of foods which makes them tastier and more satisfying. If you are mindful about how full you feel, you naturally eat less. 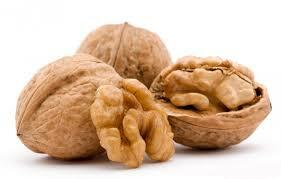 Fats are made up of fatty acids which have potent biological activity. The typical American diet tends to be high in omega 6 fats. These fats are found in refined oils such as corn, soybean, safflower, sunflower, canola and vegetable oils as well as conventionally fed animal protein. 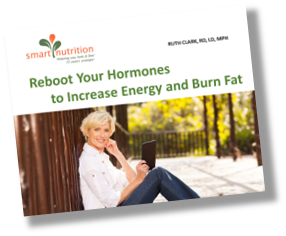 Omega 6 fats are highly inflammatory. With the advent of processed and convenience foods the ratio of Omega 6 to Omega 3 fats in our diet have gone from a healthy ratio of 1:1 to more like 20:1. It’s no wonder that inflammation is rampant in our culture. 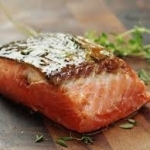 We need to be eating more Omega 3 and Omega 9 fats for their anti-inflammatory effect. 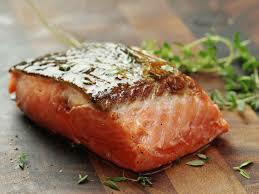 Fatty fish—One of the best sources of Omega 3 fats are fatty fish such as salmon, herring, sardines and mackerel. An added benefit of fish is short cooking time. This allows you to get dinner on the table more quickly. Chia seeds—Loaded with amino acids, healthy fatty acids and fiber, chia seeds are a smart choice. One of the benefits is how easy they are to use. Just add them to a smoothie, granola, a soup or casserole. Olives and olive oil—Extra virgin olive oil can add lots of flavor and healthy fat to your meals. A word of caution with olive oil is to avoid heat above 350 degrees. If you are roasting veggies at 375 or searing fish, chicken or meat, I recommend a more stable oil like coconut oil, avocado oil or grass fed butter. When it comes to olive oil look for organic cold pressed in a darkly tinted bottle. Olives are a great addition to veggies, soups and casseroles because they pack a lot of flavor. Butter—Grass fed butter is a good source of conjugated linoleic acid (CLA). CLA is a fatty acid which is associated with improving lean muscle mass and reducing body fat. It contains butyric acid, a short chain fatty acid with anti-inflammatory properties, omega 3’s, and up to 5 times more CLA than butter from grain fed cows. Pasture raised organic eggs—These eggs are a great choice because they contain more Omega 3 fats than conventionally raised eggs and are lower in cholesterol. Coconut oil—Coconut oil contains medium chain triglycerides (MCT’s) which have many health benefits. MCT’s are easier to digest, not readily stored as fat, available for immediate energy and anti-fungal and anti-microbial. They are anti-inflammatory which should be helpful in heart disease prevention but the jury is still out for some scientists. Even though coconut oil has been shown to increase the good cholesterol (HDL), we don’t really know how coconut oil effects heart disease. The recommendation is to use it more sparingly. I like it for high heat cooking in measured amounts. Avocados—This versatile fruit is largely made of oleic acid which is a monounsaturated omega-9 fatty acid with many health benefits. Add avocados to smoothies (makes the texture velvety), salads, use it as a spread and add it to sandwiches. Or just eat it pure—half an avocado with lemon juice and your favorite seasonings. 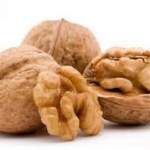 Walnuts—Many nuts and seeds contain healthy fats but walnuts are your best bet.